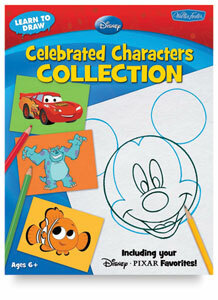 Learn to draw a variety of Disney characters — from Mickey and Buzz Lightyear to Simba and Sulley. This ultimate collection takes kids on a thrilling artistic journey full of loyal friends, brave bugs, gentle monsters, and more! 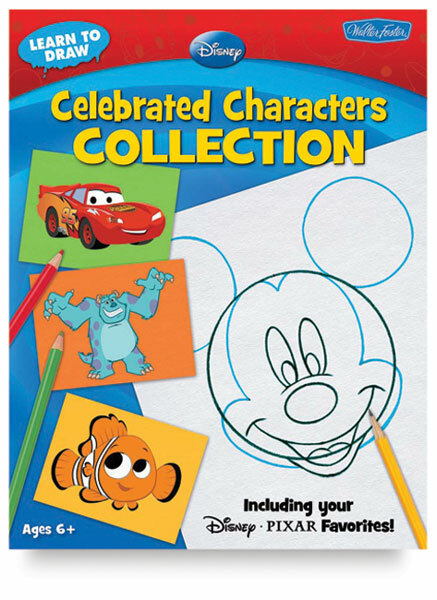 The 144-page five-in-one collection features five of Walter Foster’s best-selling Learn to Draw titles, including Mickey Mouse and His Friends, Finding Nemo, The Lion King, Cars, and your favorite Disney/Pixar characters. Young artists develop drawing skills while accompanying such characters as the fearless little fish Nemo, the hotshot racecar Lightning McQueen, and the vigilant space ranger Buzz Lightyear on their exciting, heroic adventures! The simple, easy-to-follow method shows each new drawing step in blue so artists of all levels can learn to draw with confidence. Additionally, full-color illustrations and detailed story synopses engage young artists for hours of creative fun. Paperback. 144 pages. 8½" × 11" (22 cm × 28 cm).